Fresh Power 6 Toilet Blocks freshens your toilet bowl for up to 4 weeks! Harpic Fresh Power 6 toilet blocks keep your toilet smelling fresh with its 6 powerful actions. Power Plus gives you the benefits of germ kill, limescale removal and great fragrance all in one product! Harpic White & Shine bleach contains baking soda to leave your loo sparkling white and clean. Harpic Blue Power a 6 action toilet block that changes your water blue for continuous cleaning and freshness for up to 250 flushes. 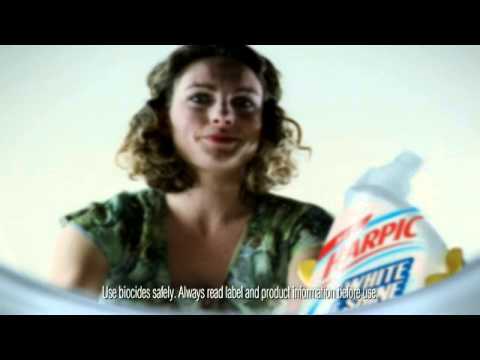 Find a Harpic product to suit you. Whether it’s a thick bleach liquid for a deep clean or a toilet block for daily freshening, Harpic will leave your toilet brilliantly clean and fresh every day. Whether you are here to find a solution to your tartar problems or want to create an oasis of calm and tranquility, we are here to help you. Learn how to create a wellness oasis in your bathroom for you to relax in after a hard day at work! Enter your post code into our Limescale Locater tool and find out! No need to panic, Harpic has the right solution for you. Click here for some quirky and interesting facts about the toilet to keep you laughing as you tackle the cleaning!